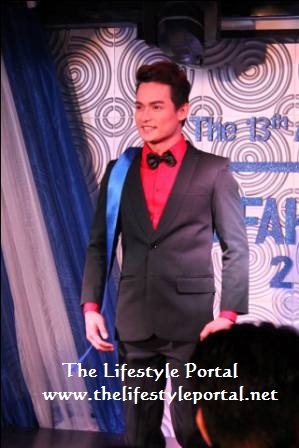 Mr. F Zorro Christian Lacsamana Reigns as the 13TH Mr. Fahrenheit 2015 Winner! 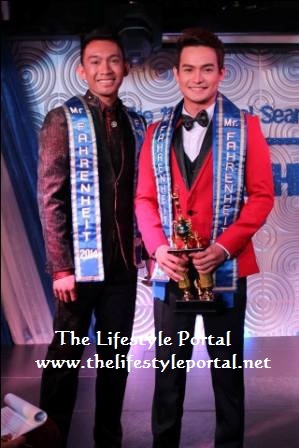 Christian Lacsamana, a hot hunk gay man and an educator was hailed as this year's Mr. Fahrenheit 2015 beating 24 others in the annual search held at the F Club Philippines (formerly known as Fahrenheit Cafe), Saturday night of June 27, 2015. Christian who compete under his fragrance codename Mr. Zorro was also a 1st Runner Up Winner in "I Am Pogay," a pageant segment for gay men in ABS-CBN's hit noontime show "It's Showtime." Christian's hot gorgeous yummy body, captivating smile, tantalizing eyes, and angelic face caught the attention of the viewers present in the event and judges namely Norman Tinio, a top independent beautycon blogger in the country; Ms. Kris Tiffany Janson, Bb. Pilipinas Intercontinental 2014; Ms. Catherine Almirante, Miss Global Philippines 2014; Ms. Hazel Ortiz, Slimmers World Miss Bikini Philippines 2014; and Mr. Gelbert Aplal, well-known photographer making him as this year's reigning king! 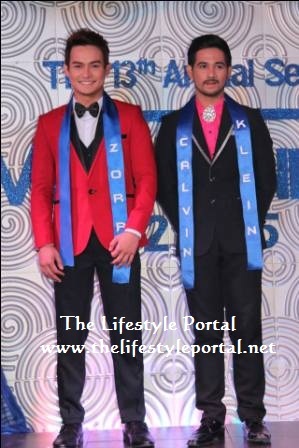 Aside from being the 2015 Mr. Fahrenheit Winner, Christian also won special award which is the Best in Swim Wear. Armed with their very fragrant code names (men’s perfumes of their choice), 25 gay men battled their way to the top on their sportswear, swim wear, formal wear and of course with the defining moment of a answering the Q&A. The winner received 30K cash, a trophy, 1 year FREE ENTRANCE at F plus a memory that will last for a life time. F Club Philippines (formerly known as Fahrenheit Cafe) is located at E. Rodriguez Sr. Avenue, New Manila, Quezon City. between the corners of Tomas Morato and Doña Hemady roads. On our later post, will share you some behind-the-scenes during the night of competition and hot photos of the contestants. He has improved his looks and body compared when he join I am Pogay! Congratulations! I am not a fan of last year's winner though, hehehe.